How did the First Crewed Orbital American Spaceflight get its Name? When John Glenn blasted off in Friendship 7, he created history as the first American to orbit our planet. But how did his historic craft earn such an unusual name when the previous two names were decidedly more patriotic in nature? John Glenn became the first American astronaut to orbit the planet on February 20, 1962. He launched on an Atlas rocket, orbiting the Earth three times in the Mercury capsule. He splashed down in the Atlantic Ocean just east of Grand Turk Island, and was picked up 21 minutes later by Navy Destroyer Noa. But of course the most important part of the mission was the name. Officially the mission was designated Mercury-Atlas 6, with Mercury named for the Roman messenger god, Atlas baring the name of the rocket, and 6 marking the sixth use of the newer, faster rocket as a launch vehicle. But the local custom was that each astronaut could pick a nickname for their mission. 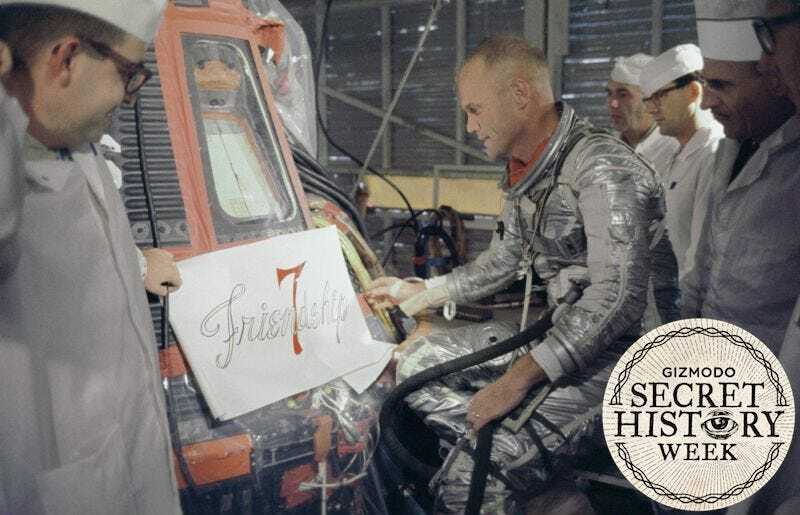 The 7 was almost a given—each of the prior missions (Freedom 7 and Liberty Bell 7) already bore the number in honour of the Mercury Seven astronauts. I said, “There’s only one ground rule. The world is going to be watching, so the name should represent our country and the way we feel about the rest of the world.” They pored over a thesaurus and wrote dozens of names in a notebook. Then they worked them down to several possibilities, names and words including; Columbia, Endeavour, America, Magellan, we, hope, harmony, and kindness. At the top of the list was their first choice: Friendship. I was so proud of them. They had chosen perfectly.